Arnold R. Beckhardt is a retired IBM engineer who specialized in the development of military weapon systems and civilian space programs, including key components of the Saturn-Apollo moon rockets. He was a U.S. Army Air Corps pilot in World War II, flying treacherous Himalayan air routes over China, Burma, and India. Later he served in the U.S. Air Force reserves, piloting the first generation of transonic jet fighters while working as an aerospace engineer for NACA, the federal aeronautic agency that later became NASA. After retiring from IBM, he ran an international software engineering business based in Florida and Tennessee. Before becoming a novelist, Beckhardt wrote technical papers and magazine articles. He published his first Roy Neely novel TURNAROUND in 2007 at the age of 85. The Neely series continued with GOERING'S GOLD in 2008, BLACK GOLD in 2009, MEXICAN GOLD in 2010, THE KASHMIR DILEMMA in 2012, and THE PARIS SURPRISE in 2013. 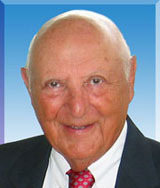 Beckhardt grew up in Coatesville, Pennsylvania, and earned his degree in aeronautical engineering from the Rensselaer Polytechnic Institute in 1944. He and his wife Greta now live in Vero Beach, Florida.